The only things we really know about zombies are things we’ve made up. But not letting that stop us, here are the second five of my top ten tips of 2012 to deal with zombies! As mindless killing machines (unlike the beautiful Great White Shark that is usually called such a degrading name) zombies have only one goal, to eat your organs. They aren’t trying to scratch you to get you to join their club, they are trying to kill you. But they have no reasoning abilities along the lines of “oh, if I grab this round thing attached to the section of the wall with hinges (a door) and twist (a doorknob) and pull I can get inside. They will break windows (again, without consciously planning it) and climb over things if it doesn’t require any strategizing. Use this to your advantage, lure them into traps, etc. Fire has many uses now; some of these will become much more important to the individual survivors. In a world without electricity it is easy to recognize the importance of fire for sterilizing, cook, and warmth. It is also good for disposing of bodies, both the infected and the dead. Fire can be used to protect an area (on fire long enough and the zombies brain connection will be severed), but more importantly to prevent the spread of diseases. 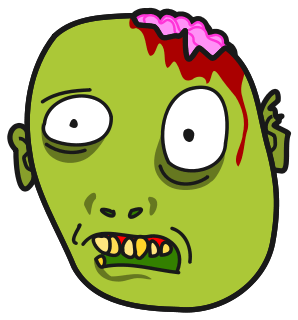 Aside from the viral infection that causes zombieism there are several existing diseases that will spread quickly if rotting corpses are left about everywhere. So burn the bodies of the dead. I can understand if this is hard from a psychological point for those you care about, go ahead and bury them, just don’t spend too long in one place digging graves. In America we have tons of food choices, today you hear “I had Mexican yesterday” or “I don’t like eating a burger more than once a week.” Post-zombie apocalypse you need to get over this notion of eating what you “feel like”; “Squirrel again?” should be “Yes, food two days in a row!” And you’re not going for a seven course banquet every evening, you need to be light on your feet, and this means light on your stomach. Vegetables, fruits, and high protein food stuffs are all you need, and they can be eaten on the move. Have a chance to sit for a bit and enjoy dinner? Make some soup, but that’s as fancy as it should get. This is actually horrible for your eyes. But the point is it is safer to be a “light sleeper” and the less you are asleep at one time the less likely you are to be found (though getting a solid four hours in at a time is recommended by Dr. Frankenstein). If you are in a group you can set up shifts for people to watch for danger, but this comes with its own troubles and risks. Don’t trust people you don’t know when you don’t have to. Making a new friend is great; getting all your supplies stolen while your new friend takes first watch is not. There are those out there who will take advantage of the situation a-la The Walking Dead: Cold Storage. You need to be wary of the survivors you encounter. Here’s a link to the first five tips.